The All Craft Blog: Quilt. I've recently only been making gifts for others so I wanted to make something that was just for me! 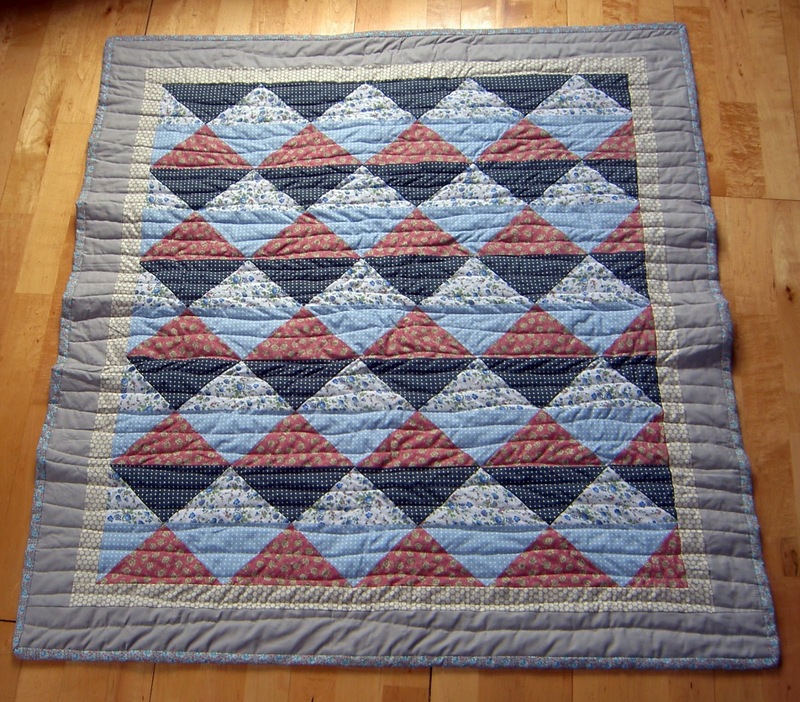 This was my own design, a very simple layout of half square triangles, machine quilted and handstitched binding. The light blue floral fabric also features on the back as I love it so much! Would love one of these for myself, simply beautiful!